The city of Wellington is the capital of New Zealand and is the cosmopolitan highlight of the North Island. The city is set on the edge of a stunning harbour and is surrounded by lush green hills and valleys. It is essentially the cultural, administrative and cultural centre of the country and is home to many of the nation's historic, cultural and artistic treasures. The country's best museums, art galleries and restaurants reside here and at night, the city comes to life in a spectacular, shimmering cityscape. A visit to this diverse and vibrant metropolis will reward you with a scenic and adventure packed experience that is sure to stay with you forever. Upper Hutt is part of the greater Wellington region and is located just 30 kilometres north-west of the city itself. Nestled on the upper northern valley of the Hutt River, Upper Hutt is the gateway to an abundance of recreational and natural adventures. The city is set amongst bush clad hills and is home to many rural attractions such as the art and heritage areas along with an abundance of native and exotic animal and bird life. Upper Hutt is home to an abundance of parks and gardens which welcome visitors from far and wide to explore their wonder and beauty. This pleasant city is one of the North Island's hidden treasures that are just waiting to burst out and show the rest of the world what it has got to offer! Palmerston North is the main city of the Manawatu-Wanganui region of New Zealand's North Island. This inland city rests on the banks of the Manawatu River, with the Tararua Mountain Range offering a stunning backdrop to the cityscape. The main streets of the city are arranged in a grid, which is commonly known as "The Square". The Square is a seven hectare park of lawn, trees, lakes, fountains and gardens and makes up the central heart of the city. The city is also home to several educational institutions and is therefore the residence of many young people, which is essentially what gives the city its youthful attitude. Wanganui is an urban district positioned on the west coast of the North Island and is known to the locals as a city. The city is located on the South Taranaki Bight and the mouth of the Whanganui River. The river is the underlying heart of the city and provides the perfect place to relax and get back in touch with nature. Choose to jet boat along the river or cruise on a beautifully restored paddle steamer, while gaining an understanding of the local history and way of life. Wanganui is also home to The Royal Wanganui Opera House, which was built in 1901. This is just one of the many stunning heritage buildings that line the city streets and create a cultural and historical ambience. 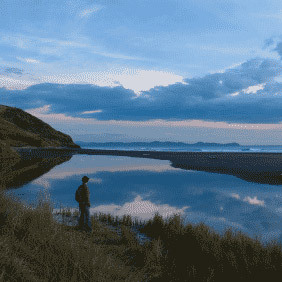 Wanganui is the idyllic place for relaxation and to discover inner peace and take some time out! These world-renowned caves are home to the Waitomo glow worms, also known as Arachnocampa luminosa. These illuminating creatures are unique to New Zealand so you will not find them anywhere else in the world. This truly unique experience will allow you to take an expertly guided tour of the magnificent caves and marvel at this natural attraction's historical and geological significance. Discover the majestic and natural decorations of the cave and see the limestone shaft and magnificent cathedral cavern in whole new light. This is definitely one of the North Island's most popular attractions and an essential to add to your list of places to visit on your next New Zealand adventure. New Plymouth is the main city and port of the Taranaki region and is home to black sand surfing beaches and an abundance of magnificent parks and gardens. The city is also known as 'The Cycling city", most likely because of its differing terrain and landscapes. The city itself is located within a 30 minute drive of all of the surrounding mountains, making it the perfect base for exploration of these stunning natural wonderlands. New Plymouth also enjoys a nice seaside lifestyle and is home to 7 kilometre coastal walk along the cliffs of the Tasman Sea. These pleasant contrasts between mountains, rural parkland and coastal living are what make New Plymouth the perfect place to visit, no matter what your mood. The city of Hamilton is located right in the heart of the Waikato region, 130 kilometres south of the city of Auckland. The city itself is settled on the centre of the Waikato Basin, on both banks of the Waikato River. This relatively young city is a bustling retail precinct, yet there is also great emphasis on its rich agricultural prospects. Home to attractions such as the Hamilton Gardens, lakes, walkways and golf courses, ensure that there is something here for every kind of visitor. The vibrant, diverse and thriving city will welcome you with warmth and friendliness and make you never want to leave! Auckland is the largest and most populous area in New Zealand. The county's biggest city is known as "The City of Sails", which is most likely due to its waterside location, which is the natural highlight of the area. The region itself is surrounded by hills that are cloaked with luscious green rainforest and the dormant volcanoes create a unique landscape skyline that captures the eye's attention from whichever way you look. The city of Auckland is a thriving dining and shopping paradise and the natural and man-made highlights of the city allow you to enjoy the scenic landscapes that abound. Great emphasis is placed on the prominent vineyards, forests, islands and beaches that provide never-ending activities that offer something for the entire family. This enchanting city entices the visitor with its alluring diversity and this is what fundamentally makes it one of New Zealand's top hotspots! The first city in the world to see the sunrise each day is Gisborne. As the city is located on the east coast of the North Island, it is commonly referred to as the coast upon which the sun shines across the water. This superb seaside destination enjoys warm summers and mild winters and is renowned for its surfing breaks, perfect swimming beaches and miles of untouched, rugged coastline. It is these stunning surroundings that make this city so likeable and attractive and what draws in the tourists without fail. Gisborne resembles everything about what life used to be like and the laid back and relaxed atmosphere makes it the perfect place to visit to discover your inner soul! Dargaville lies on the bank of the Northern Wairoa River in the Northland region of New Zealand's North Island. It is known by the locals as the "Kumara (sweet potato) Capital of New Zealand". Dargaville is a vibrant, laid back community that is home to friendly locals who offer informal, welcoming hospitality to their visitors. Dargaville is home to one of New Zealand's longest unbroken stretches of sand beach, which is largely driveable from one end to the other. This is something you simply must do when visiting this unique town, as the stunning coastline and purity of the beach will simply take your breath away. Dargaville is also classified as the gateway to the mighty Kauri Forest, which makes it the perfect place to base yourself for exploration of this stunning natural wonderland. Kaitaia is part of the Northland region and is the most northern town in all of New Zealand. Essentially, it is the springboard for exploration of the real Far North, including the stunning Cape Reinga. The region itself is rich in both European and Maori history and this shines through the very township and atmosphere here. Kaitaia's main means of production are within the farming industry, supporting sheep faming, cattle and dairy farming, vineyards and fruit growing. This strong agricultural presence within the town gives it a country lifestyle, where peace and relation is the norm. Kaitaia is also located right near the stunning Ninety Mile Beach, another must see in New Zealand. Take a walk along part of this spectacular coastline or simply drive it to take it all in. Kaitaia offer s pleasant contrast between living off the land and living by the sea, making it the perfect holiday destination for those who wish to enjoy the best of both worlds. Paihia is the gateway to the Bay of Islands and is regarded as the main commercial centre of the region. It is a favourite holiday destination for tourists and locals alike and has frequently been called the Jewel of the Bay of Islands. The islands are not the only attraction in the Paihia region, with many historical towns just a few minute's drive away. Paihia is located just down the road of the historic Treaty House, which marks the beginning of New Zealand as a nation. You should also take some time to discover the Haruru Falls and boardwalk, which are also located within a close distance to the seaside township. Discover hidden pockets of rainforest and the stunning waterfalls that give this area a certain vivacity and vibrancy. Paihia is the perfect place to base yourself for the exploration of not only the Bay of Islands, but also to discover the history and culture of some of New Zealand's most humble beginnings. Uncover the natural beauty of misty rainforests and pristine, untouched, golden beaches when you visit the Coromandel Peninsula of the North Island. Coromandel is home to many hidden jewels that, if you take the time, you can discover and enjoy. The Coromandel region is surrounded by beautiful white sandy beaches, native bushland and rainforest laden mountains that create a pleasant backdrop from 360 degrees. Choose to go for a swim, take a boat cruise, kayak on the sea, discover the amazing seascapes and visit the unique art studios. The people here are so relaxed and laid back that you will feel welcome and right at home almost instantly. 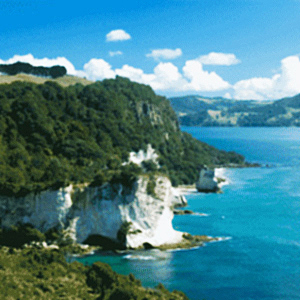 Coromandel is the perfect place to relax, unwind and discover the hidden treasures of the sea. Pauanui is a small town nestled on the East Coast of the Coromandel Peninsula, attracting tourists from far and wide, year on end. The area resembles a spit, formed at the conjunction of wave and river action at the north side of the Pauanui headland. This sheltered, idyllic settlement enjoys a superb setting, directly beside the Pacific Ocean. The local beaches are perfect for safe swimming and surfing, which is essentially why this community was built. Featuring the country's first canal housing development, stunning scenery and such a close proximity to pristine beaches, has made this one of the top tourist destinations in New Zealand! 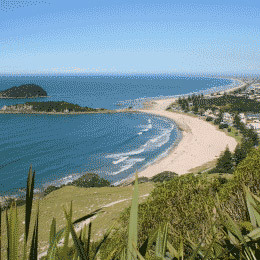 The Bay of Plenty's largest region is the city of Tauranga. Situated on a large harbour which extends along the western Bay of Plenty, Tauranga enjoys a coastal setting and lives up to its translated meaning of 'a sheltered anchorage'. The area is accustomed to a warm, dry climate and is predominantly surrounded by horticultural land and there is an abundance of fresh, local produce on offer all year round. Outdoor activities also hold high prominence here, with the Bay of plenty offering miles of golden sandy beaches which are perfect for all kinds of water activities. This emphasis on the outdoors is what makes it the perfect place to visit and what keeps tourists coming back for more. The Bay of Plenty is home to many thriving communities that are unique, vibrant and friendly. The area has a vast harbour, an abundance of beautiful islands and is within a very close proximity to the sea. The legendary beaches of the region are perfect for practically every kind of water activity and provide a vibrant coastal lifestyle to all of the region's towns and cities. Staying in the Bay of Plenty provides you with the perfect base for full exploration of the Central North Island and the surrounding islands that scatter the Pacific Ocean. The natural beauty of this area will leave you spellbound and keen to spend more then a day here. Feel the true spirit of the north in Rotorua, the active volcano land of the North Island. This is the perfect place to experience Maori culture, geothermal earth forces, spa rejuvenation, thrills and adventure. This is the heartland of the Maori culture and is truly the best place to explore the warmth of a living culture. Rotorua is also home to a sparkling lake land chain, the most noticeable of these being Lake Rotorua, which the city itself actually rests on the banks of. The streets are lined with buildings, sites and structures of historic interest that depict the town's past, present and future. The sharp contrasts of this magnificent town are alluring to the eye and provide an ample amount of fun and activity that can be enjoyed by all. 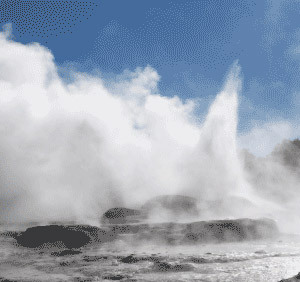 The volcanoes in the Taupo volcanic zone are essentially what create the environment in the Taupo region. The untouched, unspoiled and uncrowded environment is home to majestic mountain peaks that allow for the area to be host to the country's largest ski area. The Taupo region is also famous for being the events and trout fishing capital of New Zealand. Visitors to these events enjoy the beautiful bush and sub-alpine surroundings, with pleasant contrasts between lake and mountain views. At Lake Taupo you will find snow-capped mountains, an enormous fresh water lake, pristine native bush and steaming thermal areas. This is the heart of the Taupo region and perhaps one of the most prominent highlights of the North Island. The city of Hastings is the administration centre of the Hastings District in the Hawke's Bay region. It is also the largest urban area in Hawke's Bay and is situated on the fertile Alluvial Heretaunga Plains. Hastings is commonly referred to as the 'Fruit Bowl of New Zealand' as the local area is very prominent in orchards, farms and vineyards. The city is also home to the region's largest water park, 'Splash Planet' which is a theme park for all ages. Along with fine restaurants and cafes, as well as excellent shopping facilities and elegant Spanish Mission Style architecture, the city of Hastings itself is sure to offer something to suit all! Napier is known as the Art Deco City in Hawke's Bay Wine Country. This port city is a tourist resort and colourful buildings depict the town's history and tell stories of days gone by. The rebuilding of the city, after a devastating earthquake in 1931, was influence by the art of the time. Napier maintains its status as an Art Deco City through the work of the Art Deco Trust, who maintains the buildings and keep them in a pristine condition. The area is also famous for the wide variety of water sports on offer, including water skiing, wind surfing, kayaking and parasailing. This city truly is a stunning architectural highlight of the North Island and earns its status as one of country's most popular and attractive hot spots! The developing and vibrant city of Whangarei is set in a district of fertile farmlands, orchards and forest. The area is home to a stunning harbour, rugged coastline and safe swimming and surfing beaches. 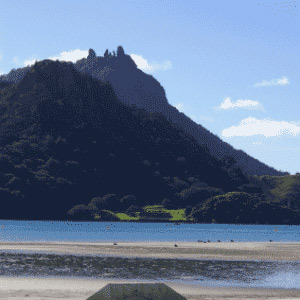 Whangarei is defined by its natural geography and is often characterised by its geology and coastal development. The city is forever changing and this is reflected through the friendly community atmosphere and welcoming locals. There is a romantic countryside feel to the area, which is accentuated though the lush, green and attractive semi-tropical surrounds. This is the perfect place for you to take pleasure in a wide range of colourful contrasts that will simply leave you in awe.